What Are the Benefits of Using Lotions? 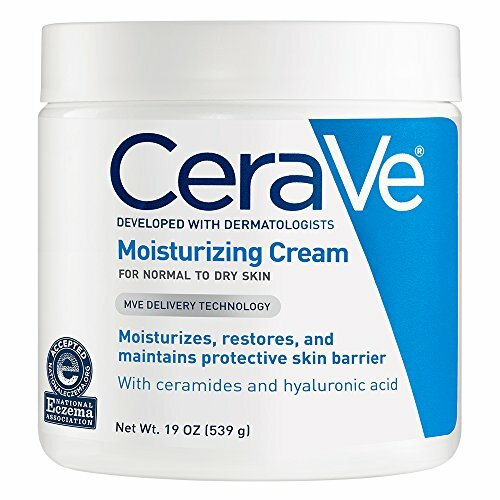 What Are the Benefits of Using Moisturizers? We would all like to live in a world where we have perfect skin that maintains its elasticity and its hydration. However, the reality is quite harsh. The truth is, we are constantly exposed to the harsh environmental elements, and we use harsh cleansers which leave our skin feeling dull and dry, making it look less than ideal. As a solution, we grab our creams…or lotion? Is lotion a moisturizer or are they one and the same? A majority of people think that lotions and moisturizers are the same things. While in certain ways they are quite alike, these two are not exactly the same. They have subtle differences that set them apart. Lotions are creams that tend to have a higher percentage of water compared to its counterparts. Simply put, lotions are basically droplets of oil that are mixed into water. Lotions tend to be quite light in weight, non-greasy and can be absorbed by the skin far more easily. This makes them an ideal choice for people who tend to have normal to moderately dry skin. Lotions typically have a liquid consistency and are sold in bottles. The basic rule when it comes to using this product is that they should be used during the day and even in the hot summer time. It gets absorbed by the skin very quickly without any sort of greasy residue being left behind. Below we will list some of the top benefits of lotions. Lotions can hydrate the skin very well regardless of the climate you live in. It is ideal for dry and irritated skin. Regardless of the type of skin you have, everyone tends to have rough skin on certain areas of the body, such as the knees and the elbows. Using lotion on a daily basis will make these areas soft and supple. Dermatologists recommend that using lotions once or twice a day on a regular basis can be an easy solution for skin itchiness. Another great benefit of using lotion regularly is that it will make you smell good. Most lotions come with a fantastic fragrance. Using it at the start of the day will make you smell good throughout. Lotions, to a certain extent, have the ability to alter wrinkle formations. The ones that contain anti-aging components help in retaining the youthful state of the skin. A moisturizer does not exactly pertain to just one thing. This is a broad term. Anything that you apply on your skin so that you can increase levels of lubrication and comfort is considered a moisturizer. Some of the different types of moisturizers include gels, creams, and even ointments. Gels tend to be made using water or alcohol and are very lightweight. Creams are slightly heavier and are quite similar to lotions. They typically consist of an oil and water emulsion. Lastly, ointments tend to be extremely thick and have the highest concentration of oil in comparison to other types of moisturizers. These are quite heavy and sticky too. Moisturizers help in making you look younger than you really are. Using a good-quality moisturizer on a regular basis will keep your skin fresh and glowing. If you are looking for an anti-acne product, then we recommend using moisturizers. Moisturizers keep your skin well moisturized, which ultimately keeps it acne-free. However, if you have oily skin, you have to be very careful with the quantity you apply. Moisturizers with SPF is an excellent addition to your daily skincare routine. It not only keeps your skin looking healthy but also helps fight off cancer. If you suffer from patchy skin, eczema, redness, and the likes, using a moisturizer is recommended, especially if it contains calming ingredients like aloe vera and chamomile. Moisturizers are basically a spectrum from water to Vaseline, and you have everything else in between such as creams, lotions, and ointments. So, in that sense, you can technically call a lotion a moisturizer. Then again, they are not exactly the same. Let’s talk about some of their differences below. Moisturizers tend to be a mixture of water-soluble components and oil, which works to restore the skin layer back to its natural condition. Lotions, on the other hand, tend to have some of the most added ingredients. They have a higher content of water, and to combat the growth of bacteria, it features benzyl alcohol or salicylic acid, which can be anywhere between 0.01 and 5%. The texture of a moisturizer can entirely differ on the basis of its type. It can range anywhere between light to very heavy and sticky. Lotions tend to have a lighter weight and can be easily applied to the skin. Furthermore, the skin absorbs lotion pretty quickly without making it feel sticky, heavy, or, dry. The use of moisturizers entirely depends on your skin type and issue. If you have dry skin, then heavier-duty moisturizers are an ideal choice. People suffering from eczema can highly benefit from thick creams or ointments. It is essential always to know what exactly your skin needs. The use of lotions is quite simple. Ideally, you should stick to using lotions when you are looking to get it hydrated or if you just want to pamper yourself. If you have a normal or combination skin type and are experiencing oiliness or dryness, then you should stick to using gel-based lotions. If you have acne-prone skin, then check out lotions that come with a lower level of emulsifiers and oils. If you are stepping out on a hot day, stick to using water-based lotions. So, to answer the question of whether or not is lotion a moisturizer, it can be a yes, but it isn’t exactly the same. Regardless of what is which, you should be more aware of what your skin type is and what it needs, and only on the basis of that, you should be deciding on whether you want to settle for any one of them. You would think that the best time to apply any moisturizer for your face is during the day or when you’re about to step out of the house. But did you know that using the best night moisturizer is equally, if not more, important? Night moisturizers are essential as they are a targeted refresher for the next day. They tend to be much thicker in consistency in comparison to day moisturizers, and some of them also come with exfoliators, which will help to improve the texture of your skin. Most important of all, these moisturizers tend to have a higher number of hydrators, which will replenish moisture that is lost during the daytime. 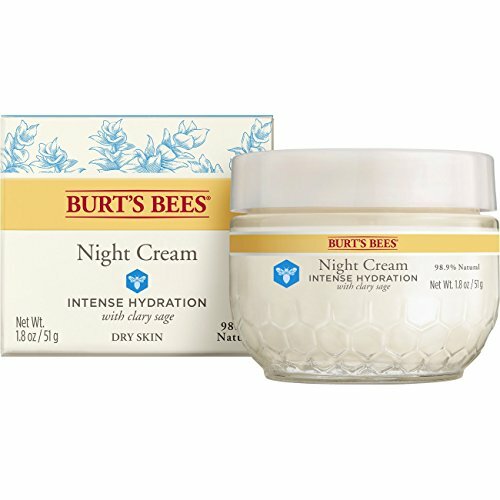 If you are looking for a good night moisturizer for daily use but are confused with the endless options out there, look no further. We will review three amazing ones in this article. If you are looking for a good night moisturizer, it is essential that you find one that comes with anti-aging and acne-fighting elements, along with several antioxidants that protect your skin from all the environmental stresses. Keeping this in mind, we found three fantastic night moisturizers from three amazing brands that we are confident you will love. Pure Biology is a brand that provides its customers with a premium line of beauty products that are made using only the highest quality and hand-selected ingredients. The brand combines some of the most innovative formulations so that they can provide you with luminous hair, glowing skin, and an appearance so radiant that it will inspire confidence. A good night moisturizer should contain certain base ingredients such as hyaluronic acid, retinol, vitamin A and E, castor oil, and argan oil. The Enhanced Night Cream by Pure Biology contains every single one of these ingredients and several more. It adds some of the strongest proprietary complexes that have clinically shown to offer a high potency of wrinkle-reduction benefits. The ceramide and baobab oil do an excellent job at reducing puffiness, under-eye bags, dark circles, and more. It also renews thin and delicate skin around the eyes, which makes them appear more youthful and refreshed. All of these will moisturize your skin for up to 48 hours. Vitamin A and retinol will help in filling the deeper wrinkles and in getting rid of age spots. This will promote cellular vitality. The hyaluronic acid will help in firming and tightening the skin around the neck, face, and eyes. This moisturizer comes with syn-coll and allantoin, and these help in minimizing pores. It also helps in the promotion of collagen formation, which is essential in the restoration of the natural elasticity of the skin. One of the main reasons why this moisturizer is so good is because it is ideal for all skin types such as oily, dry, sensitive, and even acne-prone skin. It has a gel-like feel and will hydrate like a cream. Most important of all, it is non-GMO, paraben-free, and cruelty-free. Eve Hansen is a brand that is based in Los Angeles, California. This company claims to use only natural ingredients, and its products are made under the strict observation of U.S. quality manufacturing standards. This brand’s goal is to help its customers by making them feel and look their best. This can be achieved via their specially formulated products, which are effective, natural, and cruelty-free. 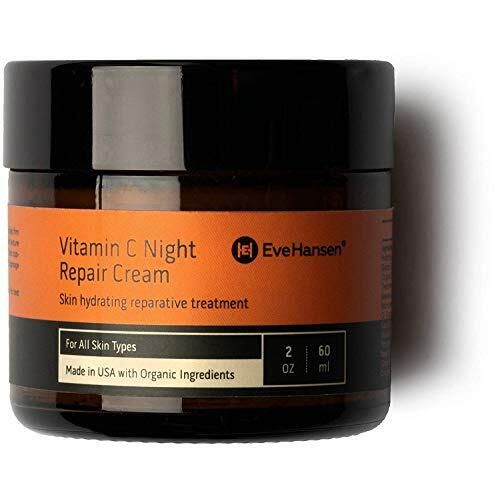 Eve Hansen Vitamin C Night Repair Cream is a fantastic anti-aging cream that will help in restoring the youthfulness of the skin and maintaining its healthy glow. It comes with both anti-aging and moisturizing properties. What’s more, it is capable of boosting your level of collagen naturally, making your skin softer and giving it more elasticity. This cream also helps in addressing deep wrinkles and fine lines. The cream will nourish your skin with all the essential nutrients and will work in multiple ways to boost the overall health of your skin. The brand claims that their cream helps in preventing free radicals from damaging your skin. The most important ingredient in this cream is Vitamin C. It will help in stimulating the skin’s recovery response and in fading sunspots. Best of all, it is ideal for all skin types. Lastly, this is a lightweight cream that also helps with skin discoloration and blotchiness, and it is free from parabens and sulfates. Burt’s Bees is a personal care products company founded by Burt Shavitz and Roxanne Quimby. The company was founded in Maine in 1984. Since then, they have been widely popular for their high-quality products, which they sell in America and several other countries all over the world. 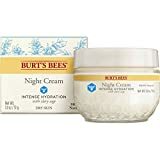 Burt’s Bees Intense Hydration Night Cream comes with anti-aging and natural ingredients that help restore your skin from damages it suffered from during the day. It comes with a 98.9% natural formula, which makes it ideal for any skin type. This cream is tested by dermatologists and is formulated without the use of phthalates, petrolatum, and parabens. It gets quickly absorbed by the skin and retains its moisture for a very long time. The company claims that regular use of this cream can result in the reduction of wrinkles and fine lines. The cream spreads easily and evenly all over the face. Although it is suited for all skin types, people with dry skin will particularly benefit from this as it leaves the skin feeling soft, renewed, and fresh. Having the best night moisturizer in your everyday skin care routine is a must. With these three we have reviewed, we are certain that selecting any one of them will leave your skin feeling soft and nourished. 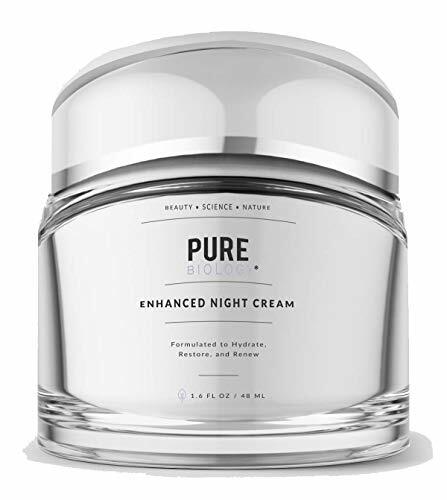 That said, between the three, we liked the Pure Biology Enhanced Night Cream the most. This cream contains several ingredients that truly benefit the skin. Upon consistent use of this product, you are likely to see significant changes, which is why we highly recommend this one. Moisturizing is one of the steps in taking care of the skin. Facial skin is not the only one that needs to be hydrated; we also need to take care of the rest of it with the help of the best body moisturizer. Rough, dry, and flaky skin is one of the common causes of early skin aging. With that said, we have found three products and evaluated each of them. We looked into their features, pros, and cons. Hydrating formulation: The lotion has a unique combination of avocado butter, royal jelly, shea butter, cocoa butter, lavender oil, lemon oil, and beta glucans, as well as other non-toxic, natural ingredients that are good for the skin. Anti-Aging mineral: Apart from the rich and nourishing ingredients, this body moisturizer is also rich in pure magnesium chloride, which is absorbed deep down the skin’s basal layer. This mineral promotes collagen production and proper circulation, as well as improves skin elasticity. It is also a good carrier that takes necessary nutrients as it gets absorbed by the skin. No hormone disruptors: The ingredients of this body moisturizer are all natural and don’t include toxic ingredients that can disrupt hormonal balance or cause cancer. Natural colorants and scents: Seven Minerals Body Lotion has no synthetic coloring and fragrances. The color of the lotion itself depends on the color of the combined ingredients. Same goes with the scent; it doesn’t have added perfume, and its scent lies only on the added natural lemon oil and lavender oil. Tea tree oil: This substance is known for its antibacterial properties and can also help heal and prevent fungal infections. It also fights acne and has a cleaning property as well. Jojoba oil: This oil is one of the vital ingredients widely used in various skin and hair products because of its different uses. It is moisturizing by creating a protective barrier on the skin or hair. It also has antibacterial and antioxidant effects. Plus, it is non-comedogenic, which means it won’t clog pores and cause breakouts. Peppermint oil: This oil has many properties that can be beneficial for both the skin and hair. For one, its menthol component is a vasodilator, which helps improve blood flow. It is also known to reverse hair loss and help enhance the growth of hair. Additionally, peppermint provides a tingly sensation that can be refreshing to both the scalp and skin. Paraben-free: Parabens are common preservatives used in personal care and cosmetic products. It can be found in moisturizers, soaps, creams, and deodorants. However, parabens are linked to hormone disruption and breast cancer. The good thing is that this product is paraben-free and is free from other potentially dangerous ingredients. Vegan-friendly: This moisturizer is made with all-natural ingredients derived from plants. Two-in-one: This product is not only for the body skin, but it also works well as a moisturizer for the scalp and hair. Color-safe: The Paul Mitchell Tea Tree Hair and Body Moisturizer is color-safe and won’t stain or bleach any type of fabric. Non-greasy: This cream has been formulated to make sure that the skin won’t feel oily and sticky once it is applied. Likewise, it is easy to apply and is quickly absorbed by the skin. 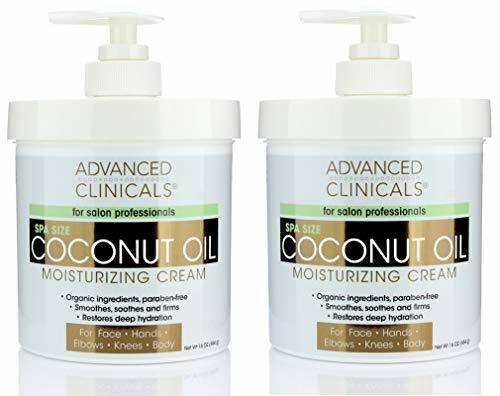 Non-comedogenic: This moisturizing lotion has a light feel and doesn’t have heavy oils that may clog pores, which are the primary cause of blackheads. Clean technology: This product doesn’t contain any form of artificial fragrances, dyes, lanolin, formaldehyde, and parabens. Acne-prone skin mix: Acne products can dry out skin and cause flaking. Applying Vanicream won’t clog pores like other products and will only moisturize skin without aggravating acne. Gentle formula: Vanicream is perfect for those who have sensitive skin or skin conditions like eczema. It moisturizes, soothes, and manages dry, itchy, and irritated skin. It also helps boost skin moisture which is essential in keeping away flare-ups. The three products have their unique ingredients that contribute to their moisturizing effect. 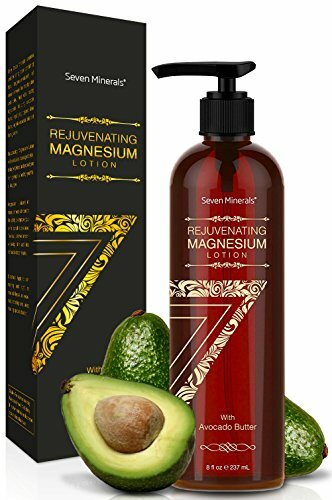 Seven Minerals Rejuvenating Magnesium Body Lotion, for instance, is infused with magnesium chloride, while Paul Mitchell Tea Tree Hair and Body Moisturizer uses the power of jojoba oil. On the other hand, Vanicream Moisturizing Skin Cream has synthetic ingredients like petrolatum to provide the necessary moisturization. While Paul Mitchell Tea Tree Hair and Body Moisturizer can also double as a conditioner, it falls short on the moisturizing effect on the skin. 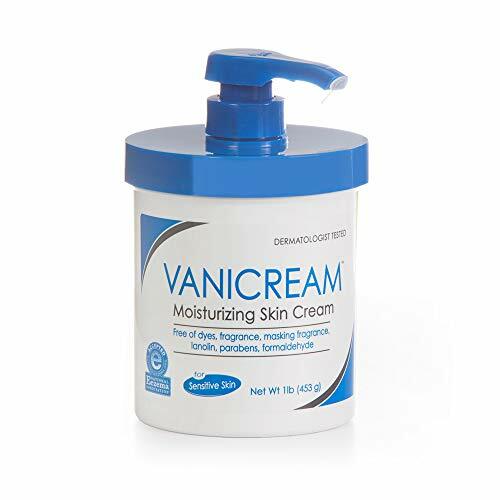 The Vanicream is very moisturizing and can even heal and calm eczema and other similar skin conditions, but it is a tad too heavy on the skin, especially if you are on the oily side. As such, of all the three, the best body moisturizer for us is the Seven Minerals Rejuvenating Magnesium Body Lotion. It is rich in nutrients that nourish the skin, and it doesn’t contain any harmful ingredients. Applying it regularly will definitely make the skin more supple and young-looking. It is not watery and not oily. The texture is just right and might be ideal for dry to combination skin. It is also lightweight enough to be tolerated by those with oily skin. Having oily, acne-prone skin is always a problem because you seem to have the oil regardless of what you apply. Choosing the best product that will suit your skin type can be a little disheartening, but did you know that moisturizing your skin is still essential even if it is oily or even prone to acne or breakouts? However, this can only be done with the use of the best moisturizer for acne-prone skin. Applying moisturizer on oily skin may sound a bit senseless, but it is really necessary. Not moisturizing your oily, acne-prone skin will only leave you with rough patches and flakes. Likewise, unmoisturized skin tends to produce more oil. With all the facial products available, though, how do you choose the moisturizer for your acne-prone skin? To help out, we searched the market and found three products that will work for oily and acne-prone skin. Pink grapefruit scent: Unlike other moisturizers that have heavy, heady scents, Neutrogena Oil-Free Acne Moisturizer offers a light whiff of pink grapefruit that adds a refreshing touch of scent as you apply. The moisturizer is also infused with natural grapefruit extract, which has a cooling effect. Quick absorption: With its light formulation, this facial moisturizer is easily absorbed by the skin, only leaving you with moisturized skin without the oily feel. Heavy moisturizers tend to block the pores and make acne worse. 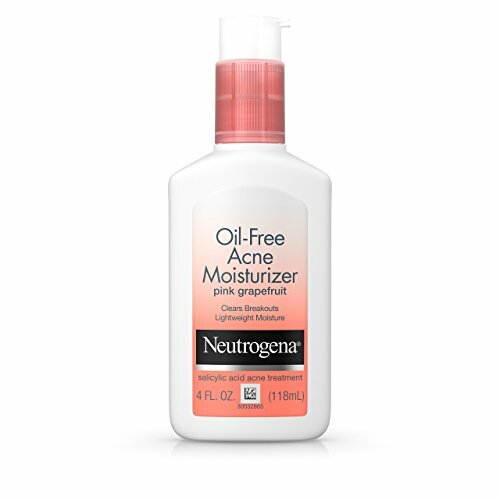 Neutrogena Oil-Free Acne Moisturizer, though, is easy on the skin and won’t cause breakouts. Helps fight acne: Apart from being lightweight and oil-free, this facial moisturizer also has salicylic acid. It is a proven ingredient that helps manage acne and keep them from coming back. Water-based: The water-based formulation doesn’t leave a greasy feel, and it is non-comedogenic. That means no clogged pores! Dual-action: Neutrogena Oil-Free Acne Moisturizer formulated with ingredients that work two ways. It helps manage and prevent acne and at the same time keeps the skin moisturized. One ingredient: This product doesn’t have preservatives, additives, and other unwanted ingredients like paraben. Its only component is 100% rosehip oil. Multi-use: This is an all-in-one product that can be used from head to toe. Rosehip oil is known to moisturize even the driest spots like heels and elbows effectively. It can also be used to help soothe dry, itchy scalp; calm redness of the skin due to rosacea, dermatitis, eczema, and psoriasis; and minimize the appearance of scars. Rosehip oil is also useful in helping reduce stretch marks, age spots, and visible damages caused by harmful UV rays. It is also great in nourishing dry cuticles and brittle nails. Essential fatty acids: Rosehip oil contains Omega 6 (linoleic acid), Omega 9 (oleic acid), and (Omega 3) linolenic acid. These fatty acids help make the cell membranes healthier and at the same time improve the function of the skin barrier. Rich in antioxidants: This single-ingredient moisturizer is also a good source of antioxidants like Vitamin C and beta carotene that prevent cell damage caused by stress and free radicals. 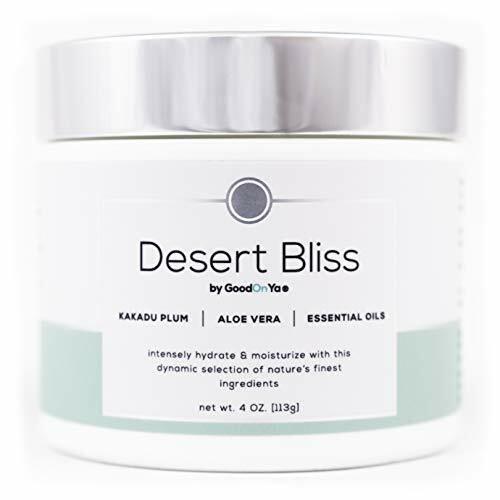 Ingredients: This moisturizer combines high-grade organic and natural ingredients to provide a skin-nourishing formula that will make the skin feel and look smooth and healthy. Offering natural moisturization properties, it contains skin-nourishing favorites like coconut oil, aloe vera, and green tea extract. It also has Co-Q10, a coenzyme known to fight free radicals and enhance the skin’s elasticity. 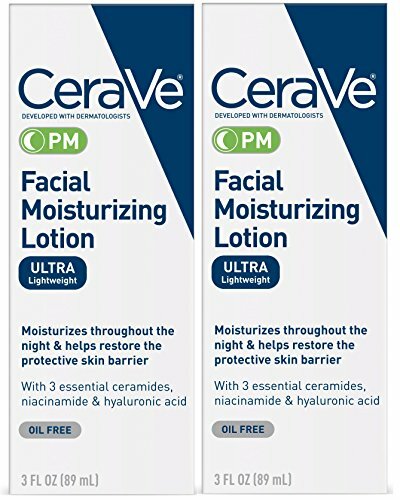 Ideal for most skin types: The formulation of this moisturizer is specially made for combination to oily skin, but it can be used for dry and gentle skin types, too. 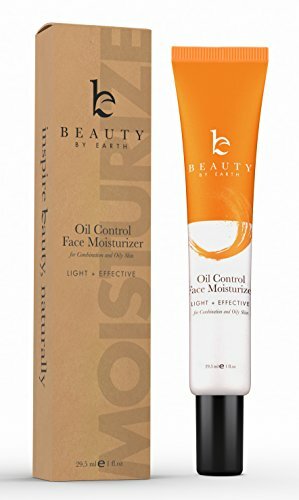 Oil-control formulation: This product moisturizes the skin and will help keep it hydrated. At the same time, it helps prevent the skin from producing excess oil, leaving your skin soft, smooth, and oil-free. Neutral scent: With a light blend of sandalwood and peppermint, this moisturizer is ideal for any age and gender. All three moisturizers mentioned are good in moisturizing the skin, depending on the skin type. 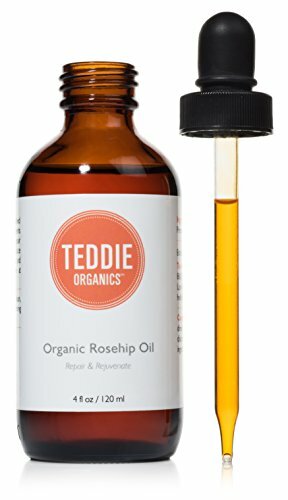 The two products, Teddie Organics Organic Rosehip Oil and Beauty By Earth Oil Control Facial Moisturizer are boasting with natural ingredients that are known to moisturize skin effectively. However, some of their ingredients can block pores. In terms of the best moisturizer for acne-prone skin, the Neutrogena Oil-Free Acne Moisturizer is the best among the three. Apart from its moisturizing effects, it can dry out acne and keep them from reoccurring. Do note though that because of the drying effect of salicylic acid and the absence of some essential oils, it can lack the moisturizing effects the two other products have and may be ideal only for normal to oily skin. Primers, concealers, bronzers, highlighters, foundations, and what not, the makeup industry keeps making better products every day. Included amongst these are the BB creams and tinted moisturizers, which are often confused by many as one. If you really want to know what all this hype surrounding the tinted moisturizer vs BB cream debate is, then we have you covered. With so many products springing up every day, it has become convenient for you to look presentable, but this comes at a cost. Firstly, you have to be well researched on what each product is providing. Not only that but you also have to know what is specific about the product. Besides this, you even have to know if it suits you or not. For example, is it good for your skin type? For your skin tone? Does it go well with your daily makeup routine? Both tinted moisturizers and BB creams vary a lot from each other. We will now describe the two regarding the differences between them that are worth noting. The ingredients of a tinted moisturizer do not have anti-aging properties. They just typically include everything you would expect from any regular moisturizer to have. On the other hand, BB cream proves to be an all-rounder in this regard. This product packs SPF, anti-aging effects, and a primer, all in one. Since BB creams help you skip the step of applying a primer, it is worthwhile to minimize your pores and give you a fresher look. If you are looking for minimal coverage, let’s say a no-makeup look, then a tinted moisturizer should be your go-to product. This gives you a younger looking skin and leaves a dewy finish. Tinted moisturizers are super lightweight and barely have any coverage. Thus, they are great to apply on if you want to achieve an even skin tone while carrying a casual look. On the contrary, BB creams offer better coverage than tinted moisturizers. These spread out evenly on the skin and help to tone down your blemishes. It’s effortless to do so because BB cream can prime as well as conceal your skin, all at the same time. Beauty Balms or BB creams offer lesser coverage than foundation and also seem to appear lighter in weight. This makes them more preferable to use if you have to attend an important meeting or go out on a lunch date. Before getting together a makeup routine, it is essential for you to set a proper skincare procedure. Do note that if your skin care practice does not start with using sunscreen lotion, then let’s stop right there. As the environment around us continues to worsen, it becomes essential to take specific safety measures against it and to use a sunscreen lotion is one of them. This is where the tinted moisturizer has a drawback. Most of them do not come with SPF or tend to have lower SPF values than what BB creams offer. That being said, although your BB cream might have SPF, it is still vital to apply sunscreen lotion before you start with your daily makeup routine. Since tinted moisturizers give minimal to no coverage, they tend to be less consistent as compared to BB creams. All you just have to do is rub it into your skin gently as you would do with any moisturizer. BB creams have a thinner consistency than foundation products. They blend in well with a blender or just by using your fingertips in circular motion. While putting on BB cream, you have to be careful to make sure that there is no excessive product. Any product that is left on the skin or creases will give a cakey look instead of a flawless finish. What is the sole purpose of a moisturizer? To hydrate! This is where the tinted moisturizer gains extra points in the tinted moisturizer vs BB cream face-off. Tinted moisturizers do not only give you a fresh look, but they also lock in moisturizer which adds dewiness to the skin. On the other hand, when using BB creams, it is a must to apply moisturizer before you put it on. Failure to moisturize beforehand results in dry, patchy skin. BB creams take in moisture from the skin while setting in, so applying a moisturizer is a step you can never miss. BB or beauty balm, sometimes even called the “blemish balm” has amazing concealing powers. As its name suggests, BB creams work wonders to hide dark spots and cover blemishes. Definitely not as good as a concealer, but surely well enough for you to look presentable for any lunch or meeting. On the end of the spectrum, when using a tinted moisturizer, you have to follow it up with concealers and color correctors. This will help hide your spots, acne scars, blemishes, pigmentation, and dark circles. The best part about both the products is that they come in a wide range regarding pricing. Both are available in drugstore brands or even in high-end brands. This makes it easier for you to invest in a product while staying within a budget and getting the desired results. Final Showdown: Which One Is Better? Several products spring up every day that help you make your skin not only look better but also feel better. Tinted moisturizers and BB creams are two such favorite products. Both of them come in a variety of shades that makes it easier for you to choose despite your skin tone. They have varying options for skin type as well including oily, combination, and dry. So, you can choose whatever suits you, which further helps you narrow down your choices. At the end of the day, you make a selection of the product that suits your skin and your lifestyle. That means the product should be in accordance with how and where you are going to use it. To achieve a very natural and light look, tinted moisturizers work well. However, if you want to go a little over the top and make your look a bit fancy, then BB creams are a better choice. We do know how essential it is to keep your skin moisturized and soft. Due to the extreme weather conditions, it is now necessary to nourish and stimulate your skin regularly. However, most of the time, people find it challenging to pamper their skin due to their hectic schedule. This is where the best-quality moisturizers play their role. A good moisturizer prevents your skin from getting dry. Plus, it makes your skin look smooth and soft. Though, there are various moisturizers readily available in the market, finding the one that suits your skin can be a difficult job. 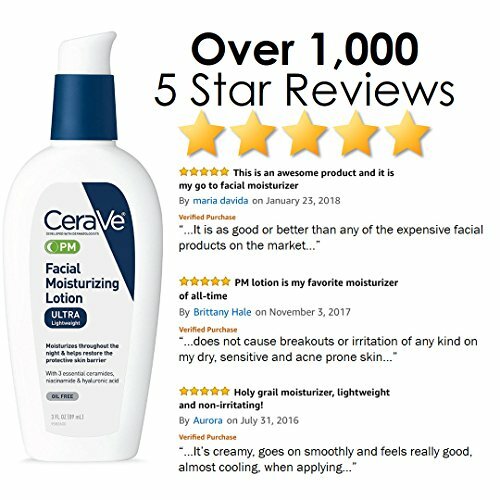 As such, we have reviewed one of the best moisturizers for your skin. The USA-based company, Radha Beauty, is one of the most trustworthy skincare brands that provide solutions for your daily beauty and skin problems. Since 2014, the brand has been excelling in the line of natural skin products and essential oils. By incorporating the natural and organic ingredients into its products, Radha Beauty is “committed to enhancing the natural beauty” of its customers. 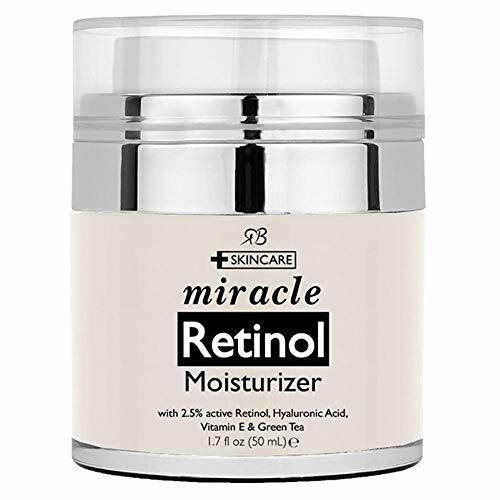 The Retinol Moisturizer Cream for the face is one of the best beauty products of the brand that keep your skin healthy, shiny, and soft. The product contains 2.5% active retinol complex that makes your skin radiant by increasing the cell growth. Hence, it helps improve your skin tone and texture. The cream also contains hyaluronic acid that increases skin volume and keeps it hydrated. Also, the cream includes green tea as an antioxidant to prevent aging and skin inflammation. Apart from this, green tea also helps manage oily skin and reduce acne. Additionally, the Vitamin E present in the product aids in keeping your skin moist, hydrated, and young looking. Lastly, the product contains aloe vera, sunflower oil, palm oil, jojoba oil, shea butter, and other natural and active ingredients. 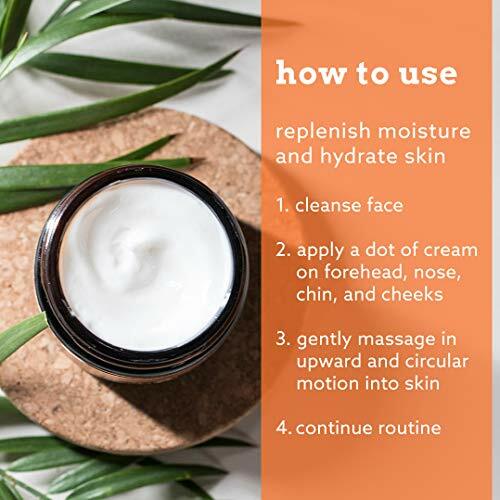 With its natural and organic ingredients, the cream not only moisturizes your face, but it also helps reduce acne, fine lines, wrinkles, redness, and pores. By hydrating your skin, the cream makes your skin look fresh and younger. The product is free from all types of fillers, dyes, parabens, fragrances, and other harmful ingredients. Hence, it is safe for anyone who is allergic to these elements. No matter if you are old or young, or have an oily, dry, or normal skin, you can easily rely on this skin product. With its safe and organic ingredients, the cream is safe for all skin types. The jar contains 1.7 fl oz or 50 ml retinol moisturizer cream. Thanks to its push-down pump, the product comes out of the jar without any effort, preventing cream wastage. You can apply the cream all over your face, neck, and lower neckline. To get the better results, it is recommended to use twice a day: in the morning and at night. Before applying the cream, apply cleanser, toner, and serum on your face. Also, the cream works well with Radha Beauty vitamin C serum. If you are using the cream in the morning, it is recommended to use SPF or any sunscreen after applying the cream. Otherwise, sun exposure can increase your skin sensitivity. If you are tired of applying different beauty products to make your skin healthy, moisturized, and blemish-free, the Retinol moisturizer by Radha Beauty might just be the product for you. It contains all essential elements that you need for your myriad skin problems, so it is something more than a moisturizer. With, its light and airy texture, the cream doesn’t clog any pores on your skin. Whether you are applying the cream as a daily skin routine or as a part of your make-up, you can use this product without worrying about wasting it. Do note though that you need to apply sunscreen since this does not contain SPF. You may find a wide range of similar moisturizing creams in the market, but not every cream is suitable for all skin types. Other than this, there are other several factors that you need to focus on while buying a moisturizing cream. As such, to help you find the right one, we have compared this product with another option, which is the LilyAna Natural Retinol Moisturizer Cream. Both of the products contain almost the same ingredients and have a similar quantity (1.7 oz). However, the LilyAna moisturizer is relatively expensive as compared to Radha Beauty’s retinol moisturizer. Also, you can easily wear the moisturizing cream by Radha Beauty even with or without your makeup. Being airy and light, the product feels non-greasy on your face. On the contrary, the LilyAna moisturizer is a bit thicker in texture. Apart from texture, the LilyAna moisturizer also contains sweet aloe vera fragrance. Thus, the product is not suitable for those who are allergic to aloe vera fragrance. Another difference between these products is the push-down pump design. With its pump jar, the Radha Beauty moisturizer comes out of the jar easily without any wastage, while the LilyAna moisturizer lacks this feature. Lastly, the Radha Beauty Retinol Moisturizer is safe for all skin types which means you can use it without even fearing the side effects. On the contrary, the LilyAna moisturizer may take few days to incorporate completely if you are using it on sensitive skin. If you are looking for a promising, effective, and natural moisturizer for your skin, we recommend you to try using the Radha Beauty Moisturizer Cream. You can use this cream as your daily skin routine or can apply it before makeup, so it is ideal for regular use. 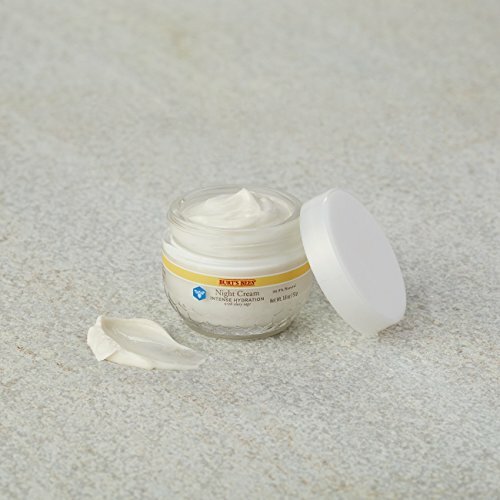 With its anti-aging formula, this cream by Radha Beauty is the remedy for almost all of your skin problems. By reducing acne, blemishes, pores, redness, fine lines, and wrinkles, the cream gives your skin a young and radiant look. Do you suffer from rosacea? Do you have to deal with extreme inflammation, redness, and irritation that come with it? Well, we have a solution, which is to invest in the best moisturizer for rosacea. Good quality moisturizers are designed to target this skin disease and soothe away your symptoms. Among the various products available in the market, we have highlighted the features of three of the best moisturizers that promise to help manage rosacea. Instead of spending a huge amount of money on multiple creams and scrubs for rosacea, opt for a more organic and natural moisturizer to give you relief. The three products we have included on our list meet such requirements. For you to have a better purchasing decision, we looked into their features, pros, and cons. 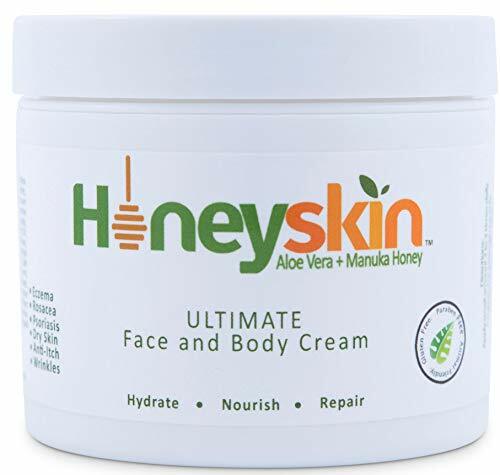 HoneySkin, a USA-based brand, formulates the most organic and natural products for your hair and skin. That is why it is considered to be one of the best organic options to help manage rosacea. Since this is an organic cream, it contains all of the best possible ingredients to keep your skin healthy. Firstly, it contains Manuka honey from the Northern Island of New Zealand. This is the most effective honey out there in the world because not only is it anti-bacterial, but it also helps heal and repair your skin. Secondly, this product contains the best natural antioxidant and anti-inflammatory substance, which is aloe vera. Its soothing effect calms down your skin’s redness and itchiness quickly. Apart from those, it is also loaded with shea butter, cocoa butter, and blue-green algae that not only rejuvenates your skin but also absorbs deep into your skin for a healthier glow. From the wide range of oils available, HoneySkin has added the most beneficial of them into their cream. These include the wildly popular coconut oil and hempseed oil. Lastly, you also find Australian cehami, plumeria, and MSM. These are antioxidants that also boost your skin’s collagen production for faster skin repair. This cream was specifically designed to provide quick relief to multiple skin diseases such as eczema, rosacea, and shingles. Not only is it deeply penetrating but also very effective for relieving inflamed skin. HoneySkin has made sure to add only natural ingredients, making it safe enough for even children with sensitive skin. The cream is unscented, non-greasy, non-allergenic, paraben-free and 100% cruelty-free. With pH of 5.5, it is perfectly balanced to your skin’s natural pH compared to harsh medicinal creams that leave you with dry skin with scars. Instead, it gently hydrates and moisturizes your skin, reducing scars and wrinkles to give you achieve glowing skin. Apart from all this, this cream is available in two different sizes of two, four, eight, and 64 oz tubes. With an experience of over 25 years, pHat 5.5 provides the best options for all your hair and skin needs. Since they are dedicated to providing relief to specific diseases through their products, be assured that this moisturizing wash is one of the best out there. With natural contents like Manuka honey from New Zealand, aloe vera, and coconut oil, this wash is an all-in-one product. Besides being anti-microbial, it also promotes skin repair and soothes the inflamed areas while also nourishing your dry patches. Along with this, this cream also contains Australian cehami, plumeria, hempseed oil, and olive oil. These organic ingredients nourish the skin and help to achieve optimum results by targeting all the problem areas. This wash was produced by thinking about your health, so it has a pH of 5.5. This was achieved by balancing all the essential amino acids, vitamins, and minerals in its formula. Though, this is expected in all products from the company name pHat 5.5. Apart from this, the product is free from paraben, sulfate, gluten, scents, and water. Hence, this is perfect for people with sensitive skin like children and babies. Its non-allergenic formula makes sure that it is suitable for all skin types, so it can target all four types of rosacea. Since it contains all natural ingredients, this product replenishes your skin by absorbing into the deep layers and reducing overall dryness, redness, and inflammation. In addition to all those, this wash is cruelty-free and comes in three sizes of four, eight and 16 ounces. This product was specially designed for all skin types, providing relief to multiple skin diseases such as rosacea, psoriasis and extremely dry skin. With active, natural ingredients like Manuka honey, aloe vera and cehami extracts, this product aims to restore your skin’s youthfulness. Ingredients like cocoa butter and Kakadu plum are also incorporated to help nourish the skin with many of the essential vitamins and minerals. They can target extremely dry and damaged skin. Apart from those, this cream has multiple essential oils to rejuvenate the skin and promote cellular regeneration. These include argon, coconut, hempseed, lavender and orange oil. This cream has a pH of 5.5 so that it does not disturb the skin’s natural pH level. Using this cream after a bath or washing your face helps to heal your skin and return it to its optimum pH. Also, this product is paraben-free, gluten-free, and unscented, making it very suitable for sensitive skin. You can use this on any skin type to help restore it to its natural glory. The different oils help to moisturize the skin and give it a healthy glow. Argan oil specifically reduces wrinkles and soothes the red, inflamed areas. This cream comes in three sizes, which are two, four, and eight ounces. We have seen how all three moisturizers have their benefits. All of them are targeting different skin diseases, especially rosacea, to help reduce the symptoms and give relief to users. 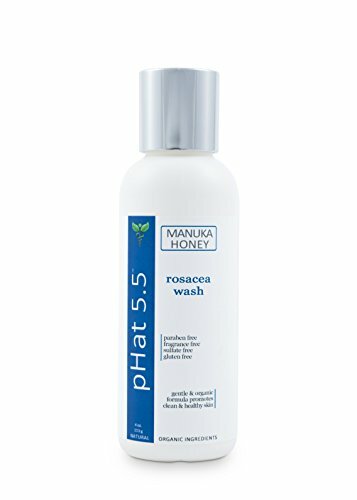 However, if you want to choose the best moisturizer for rosacea, surely, the Moisturizing Rosacea Wash by pHat 5.5 is a top option. Not only is it specifically made to treat rosacea, but it also provides quick results. This wash contains the world’s best organic material to counter the redness, itchiness, and acne that comes with rosacea.